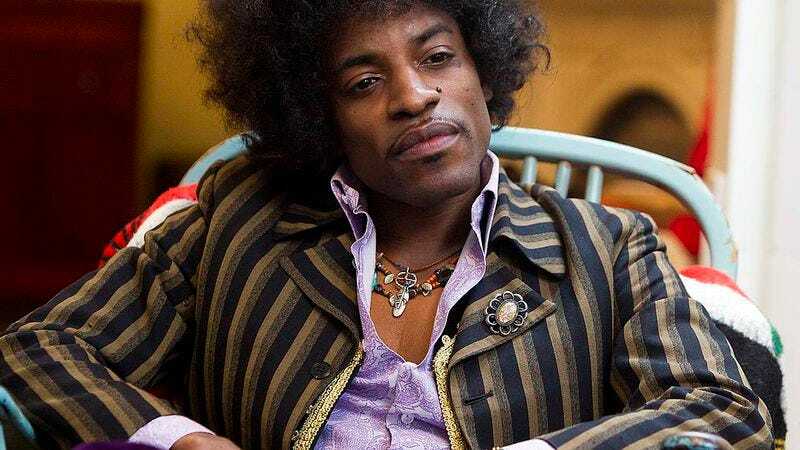 Last year’s unauthorized, Andre 3000-starring Jimi Hendrix biopic, Jimi: All Is By My Side, barely registered in the cultural consciousness—according to Box Office Mojo, the movie made just $340,911 during its U.S. theatrical run. It won’t be long until that one is forgotten entirely, clearing a path for Hollywood to do what it does best: Start making a thing that’s just like another thing. That thing is another Jimi Hendrix biopic, which, according to Deadline is ready to go at Legendary Pictures, with Paul Greengrass in talks to shakily direct a script written by The Fighter and 8 Mile screenwriter Scott Silver. Greengrass has been attempting to get his Hendrix movie off the ground since 2010; then Hendrix’s estate objected to the original script, leading Greengrass to exit the project and inciting a series of increasingly Jormp-Jompesque events involving Anthony Mackie and The Best Exotic Marigold Hotel screenwriter Ol Parker. But now those guys are out and Greengrass is back in, and Silver’s script has apparently been approved by the Hendrix estate, meaning that this particular biopic will actually be able to use timeless Hendrix hits like “Purple Haze” and “Foxy Lady” on its soundtrack. That means we’ll have to scrap our list of alternate Hendrix song titles like “Hi Moe,” “Booboo Willie,” and “Zone Three” we just came up with, but it’s probably for the best in terms of actual verisimilitude. No casting announcements have been made for the film as of yet, but considering Mackie’s absorption into the Marvel machine and commitment to play Jesse Owens in a new biopic, he might not have time for the role any more.